What if you would be able to take your home theater with you everywhere you go? Wouldn’t that be awesome? Of course it would be if only it was practical. Nonetheless, don’t lose hope yet as you can now get all that a home theater offers and more in a simple portable Bluetooth speaker. 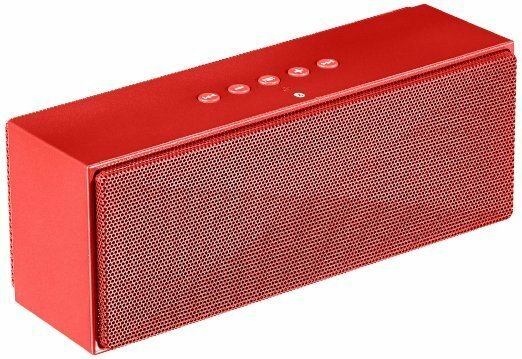 Below is a list of some of our favorite Bluetooth speakers under $100. 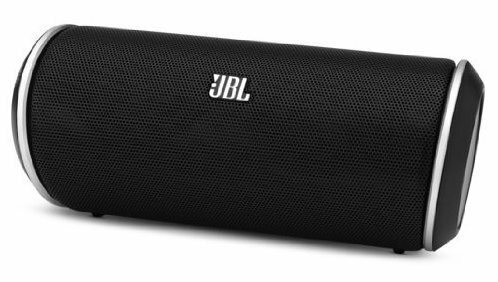 The Flip 2 is an award winning JBL portable Bluetooth speaker that brings rich sound into your portable lifestyle. The Flip 2 uses a built-in bass port and 2 drivers in a speaker that comfortably fits in your hand. More so, thanks to its use of noise cancellation technology you can use this speaker as a hands free speakerphone and never miss a word. A built-in microphone also allows you to answer phone calls without missing a beat. You can now enjoy your bass on the go! Get it now for just $79.99. The BLKBOX POP360 is your perfect on-the-go Bluetooth speaker thanks to its portability and powerful sounds. 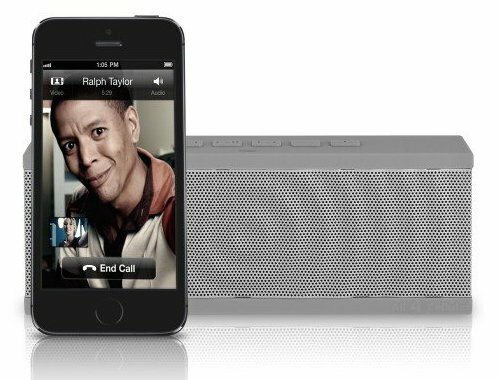 This speaker easily pairs wirelessly with a variety of Apple, Android, and Blackberry devices. 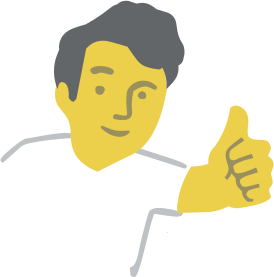 You can also use it on laptops and tablets. No Bluetooth? No worries! The 3.5mm built-in jack works with a host of devices. You also only need to pair it with your device once. More so, the speaker uses an on-the-go design that is light and small enough to throw in to a backpack, purse, or handbag. Enjoy up to 8 hours of non-stop music. Get it now for just $24.99. The SDY-019 is a high-quality Bluetooth speaker with mixes high quality sounds with portability. The 60 watt speaker comes with a large speaker cavity, and an enhanced bass resonator that delivers excellent sounds. This speaker also only weighs 0.9 pounds and due to its small size it is perfect for camping, friend gatherings and also as a bedside radio. Buy it from for only $41.98. 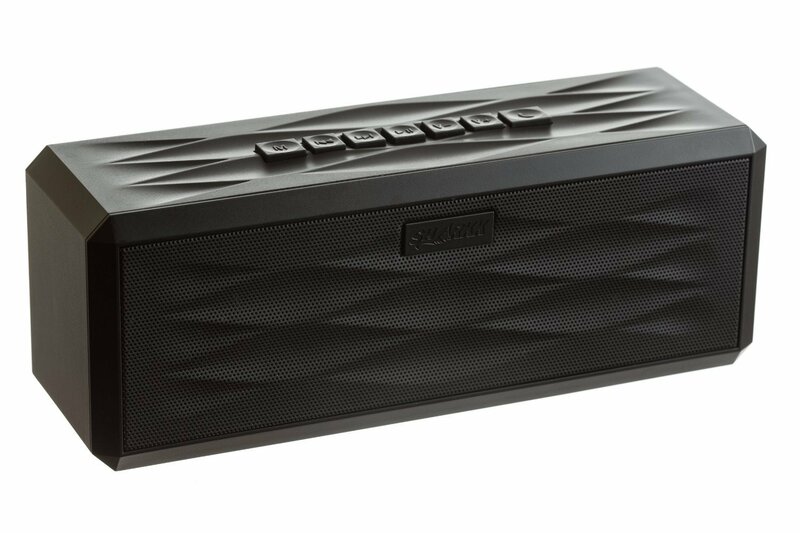 The SoundBlock Bluetooth Speaker allows you to wirelessly connect with your music up to 33 feet away thanks to use of the Bluetooth 3.0 tech. This speaker also uses 2 powerful 40mm drivers that deliver crisp clear sound with deep bass. 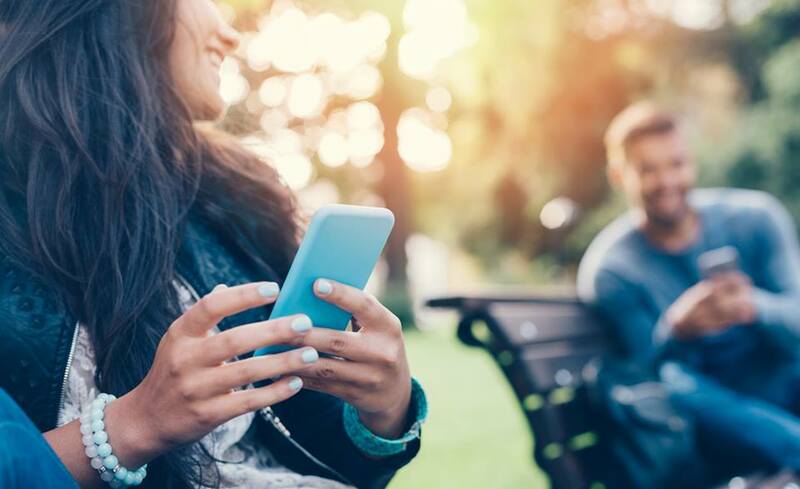 You can also seamlessly stream and share movies, music, and conference calls for up to 10 hours thanks to the powerful built-in rechargeable battery. No Bluetooth? No problem! You can also directly connect to the speaker using a standard headphone jack. 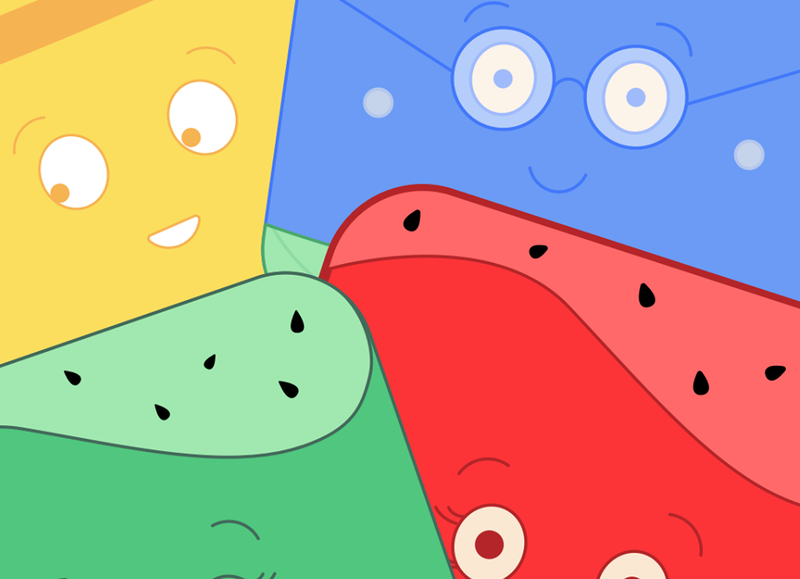 There are also more than 36 color variations to choose from. Get it now for just $49.95. The Venstar Taco is the ultimate, highly-innovative Bluetooth speaker for a trendy lifestyle. This speaker allows you to take studio mastered sound everywhere you go. The 50mm drivers together with the 3.0 Bluetooth technology delivers crystal clear dynamic audio. This speaker is totally light and portable so you can throw it in your backpack whenever you are on the go. The battery also delivers more than 8 hours of ultimate joy. Get this speaker for only $59.99. 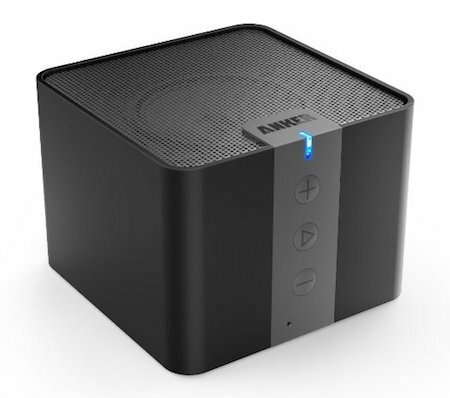 Experience high-definition tunes with the Anker wireless Bluetooth speaker. This high-quality speaker is powered by an in-built rechargeable battery that offers unrivalled 15-20 hours playtime. The speaker is also compatible with all Bluetooth-enabled devices and has an outstanding range of up to 33 feet. You can also use this as a speaker phone thanks to the built-in microphone. Get it for only $39.99. 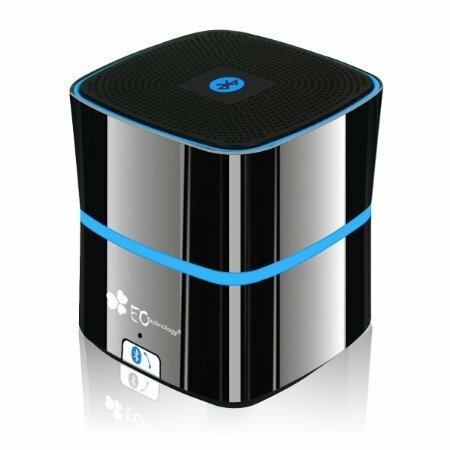 Enjoy incredible sound quality with the EC Technology Bluetooth Speaker. This speaker features a zinc alloy shell, top CSR Bluetooth chipset and a 5w driver for high-quality sound. It also uses the latest 4.0 Bluetooth tech and is also fitted with a 3.5mm audio jack for non-Bluetooth devices. It also has an outstanding range of up to 33 feet. Buy it now for only $35.99. 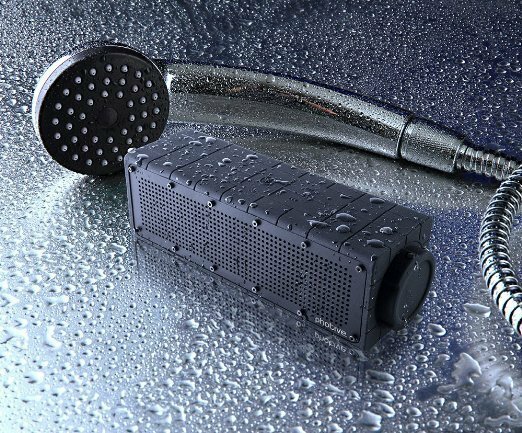 Get 100% protection against dust and water with the Photive HYDRA water resistant wireless Bluetooth speaker. This state-of-the-art speaker has a rugged, rubberized exterior for ultimate impact resistance. It also uses the 4.0 Bluetooth technology with a range of up to 33 feet. It also comes with a passive subwoofer for jaw-dropping sound quality and volume. 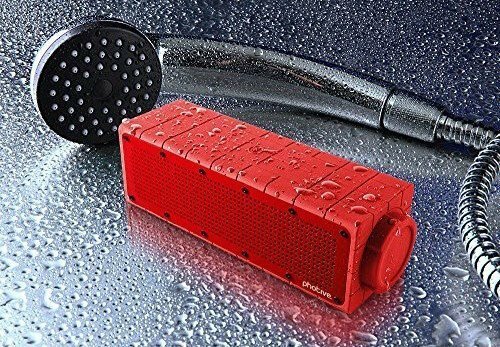 This speaker will double up as your shower speaker. You can now get it for only $59.95. You can now listen to music without headphones and even share music with your friends with the AmazonBasics portable Bluetooth speaker. This speaker will go anywhere, whether it is at the party, beach, or even in the garden. Its small size allows it to easily fit in backpacks and handbags. Buy it from Amazon for only $49.99. Bring down the roof with the SHARKK Bluetooth 4.0 BoomBox speaker. 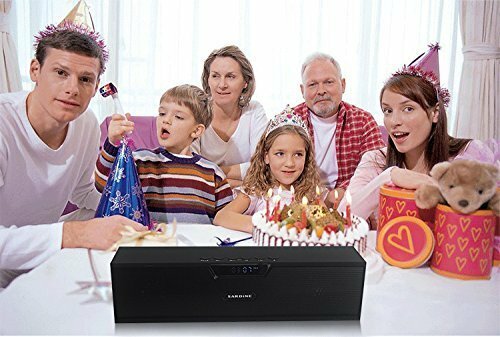 This high-quality speaker allows you to make and receive phone calls thanks to its in-built mic and you can also play and share music for up to 18 hours! This BoomBox also comes fitted with the very latest Bluetooth tech. Buy it now for only $63.00.